When you need a boost, reach for a step stool for your dorm room. You might need a boost more than you think, from trying to climb into your bunk bed to adding some dorm decorations to your ceiling. 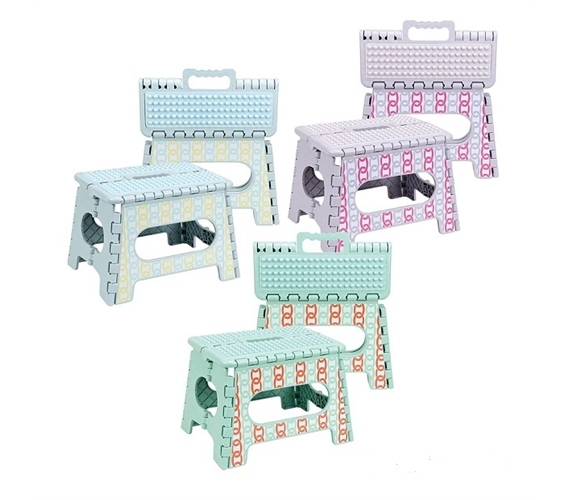 While it's a simple dorm supply, this Collapsible Step Stool - Links could be one of your most useful. Attempting to scale the back of your bed and walking all over your roommate's dorm bedding just won't be the ideal way to hop into bed each night. Instead, grab a little step stool and make the task easy on yourself. Since this step stool is foldable, it's convenient for easy storage and transportation. It's also, of course, the type of college supply that you can use beyond your dorm years. While chances are, unless you move into another dorm, this will be your only time sleeping on a top bunk. Still, you probably won't be getting any taller, and a good step stool is the type of college supply that consistently comes in handy.